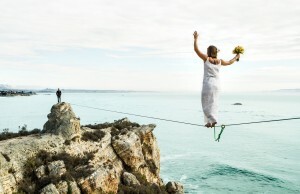 That Slackline girl, and not any girl… She is the best female in our community, and one of the best highliner in the world. 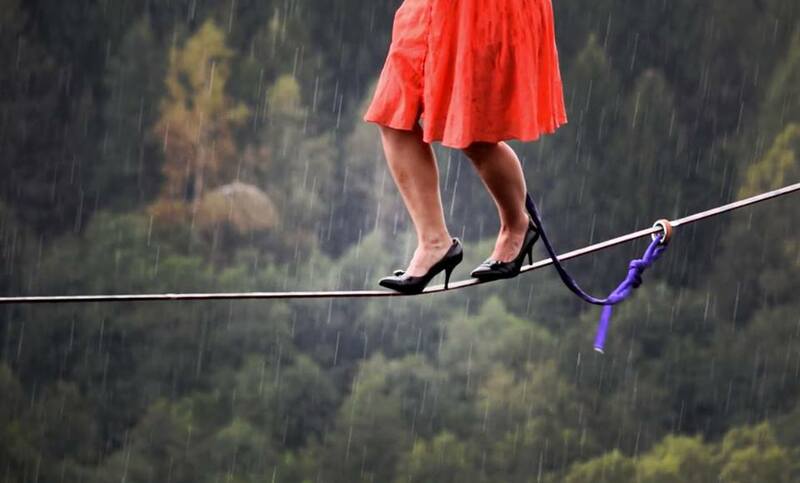 She understood that slackline is not a matter of muscles or gender, but it’s about passion, boldness, patience and willpower. She is popular, but abordable, she does crazy things but she is smart, she does free solo but she speaks in conference, she lives free but she cares about causes, she can slack alone but she organizes events, she is dead serious but do mindblowing stunts, she is an artist, she does free solo, she climbs, she does skydive, she highlines with costumes, with high heels, under the rain ! she is one of the outstanding extreme sport athletes of the 21th century ! Austin should someday have a street named after her. Tell us who you are ? My name is Faith Dickey, I am 26 years old, a professional slackliner for a living, a vagabond at heart, and a beginner ukulele player. Where are you from and where do you leave now ? I am born and raised in Texas, where I am still a resident, and I live part time in California on the central coast. What do you love most about your hometown ? Austin is great! I think I love the live music and the food the most. How do you enjoy slacklife ? I love living my passion. My world revolves around equilibrium and the experience on the line. The sport of highline takes me to beautiful and unusual places, where I experience new cultures, languages and foods, and then I get to be in space, where normally only birds fly. Do you manage to live by only being a pro slack athletes ? 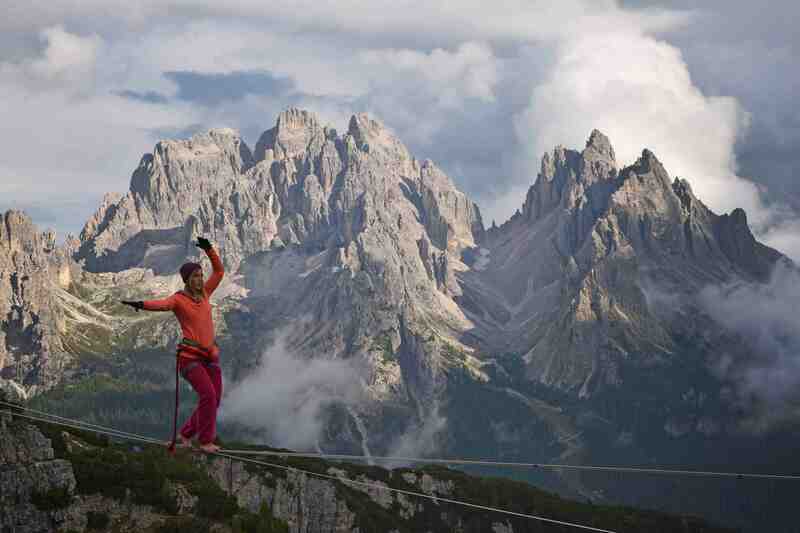 I often tell people being a pro-slackliner just means that your gear is worth more than your bank account. Since how long do you slack and how did you discovered slackline ? I’m a slackliner since 2008 and a highliner since 2009. 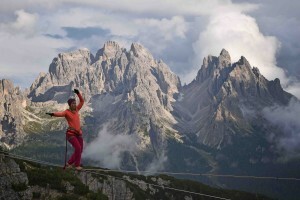 I found slacklining in my hometown of Austin, Texas, at a park, and highline entered my life when I went to Europe to travel. How did you enter into Balance community ? Was it your first sponsor ? Originally I was sponsored by Gibbon, but after a few years of cooperation it was apparent that it was not a good fit, as highline was not the focus of their company. I have known Jerry (the owner of BC) for years and consider him to be an inspirational character with lots of integrity, so I was honored and happy when he offered to sponsor me! You are the most accomplished and famous slack female. 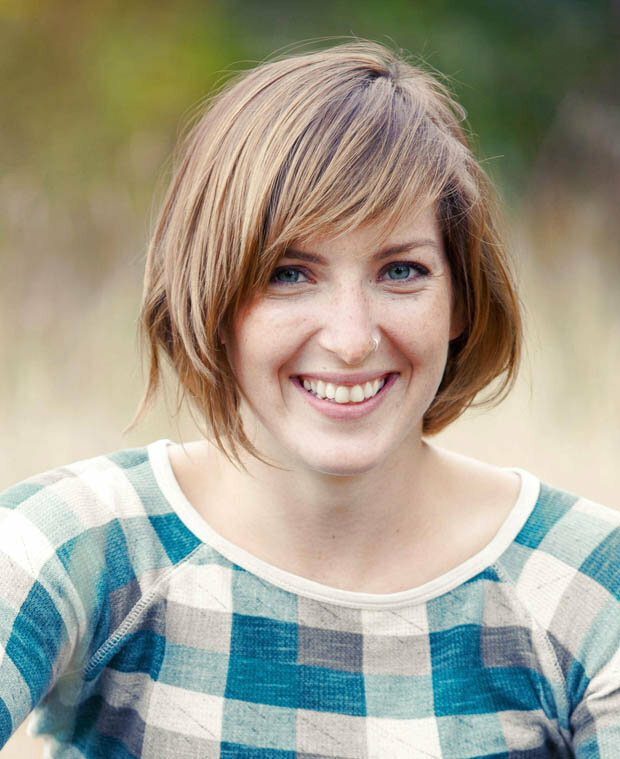 How is it like to be a girl in the slack community ? To be a girl in the slackline community is similar to be a girl in all outdoor sports where there is a male majority. It has its benefits and disadvantages. I strive to change perceptions of gender and behavior resulting from social conditioning, and I look forward to a day when there is balance in participants of outdoor and extreme sports. How was it to do the volvo truck video ? Was is hard to do it ? and how many tries did it take to walk the line on full speed ? The volvo stunt was one of the most difficult lines I’ve walked, though I lost count of how many attempts it took. The rehearsal and shoot lasted 2 weeks, with many attempts. Normally I am the one moving the highline, and in this case the movements were unpredictable and caused by two moving trucks! I enjoyed the experience but I prefer the mountains. 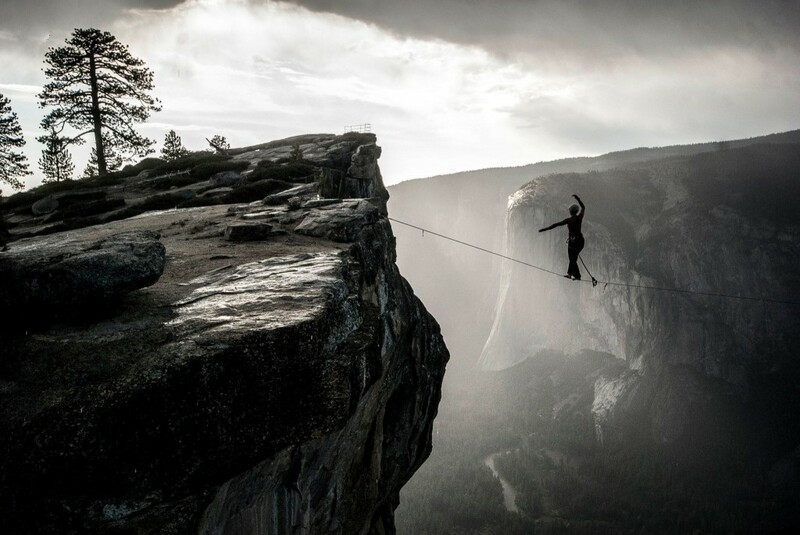 The longest line you ever walked: highline and longline, free solo ? 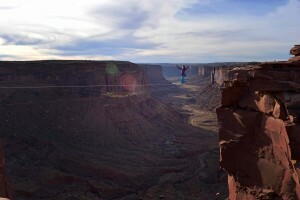 My longest Highline is 350ft long, my longest longline is 728ft, and my longest highline free solo is 92ft long. What did you do last sunday ? Last Sunday I walked and derigged the famous Yosemite Falls Highline, then hiked down the 3.5 mile steep descent. If you could change one thing about yourself, what would it be ? It is a hard question! I guess I would choose to always be aware of my ego and not let it direct my emotions, words or behavior. I could use some more patience too! Losing people I love, being alone and death. Hot Sauce and Butter, always. At the moment, Madagascar and Cuba. That depends on the day! It is what it is, Let it be, and This too shall pass. One mistake you’ve done rigging a line ? There should be protocol, etiquette and ethics, like in Climbing. Where did you travel during 2014 and what are your best slackline memories ? I traveled to the Puget Sound, in Washington (US), Yosemite Valley and Joshua Tree, California (US), Austin, Texas (US) Moab, Utah (US) and in Europe I traveled in Czech Republic, Poland, Germany, Italy, France and Switzerland. My best slackline memories are in most of these places—Yosemite is always humbling, Europe is always wonderful, and Moab is where I beat my record with great friends! 400ft Highline, 1000ft longline, better self-marketing, more surfing. Do you like chocolate ? I love chocolate. Dark chocolate is my favorite! Advice for beginners: Keep taking steps, no matter how shaky, and when you are absolutely exhausted and cannot possible go any further, try one more time. Pour vous faire apprécier l’artiste ! Si vous êtes fan des videos de Wojtek comme nous, vous apprécierez sans doute cet edit sur 4 filles d’horizons différents qui slackent. 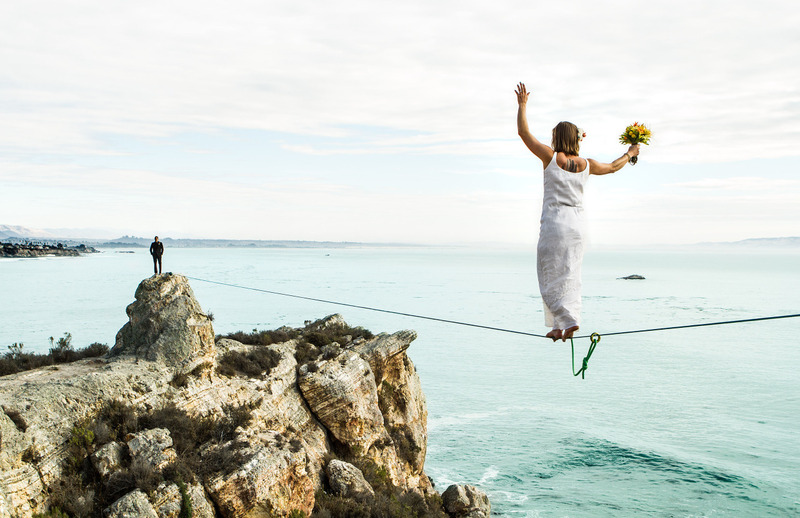 On lance notre premier concours photo : la fille en talon sur une slack la plus audacieuse ! Pour vous inspirer, nous présentons déjà la célèbre photo de Faith Dickey en highline et celle de Emie Briviba en talons aiguilles ! Qui sera l’heureuse Miss talon aiguille sur slack ? La gagnante prendra la photo de couverture du site chocoslack ! Merci de nous envoyer vos photos avant fin mars ! Si vous aimez la highline, les Météores en Grèce sont surement sur votre liste de spots à sessionner. Cette video de Wojtek est très bien montée et elle est l’une des meilleures videos de highline disponible en ligne. C’est l’une des premières videos que j’ai vue après avoir sérieusement commencé la highline, il y a plusieurs années déjà. J’ai été impressionné de découvrir Faith Dickey, Jan Galek, Jakub Kwjet, Jordan Tybon and Wojtek Kozakiewicz randonner sur des highlines magnifiques dans un décor grandiose. Les Météores sont un spot incroyable, mais si vous allez là bas, n’oubliez pas d’avoir un bon ouvreur en grimpe.